My girls are all little book worms and because of this we read an awful lot of books, meaning we are always on the look out for new stories to look at. 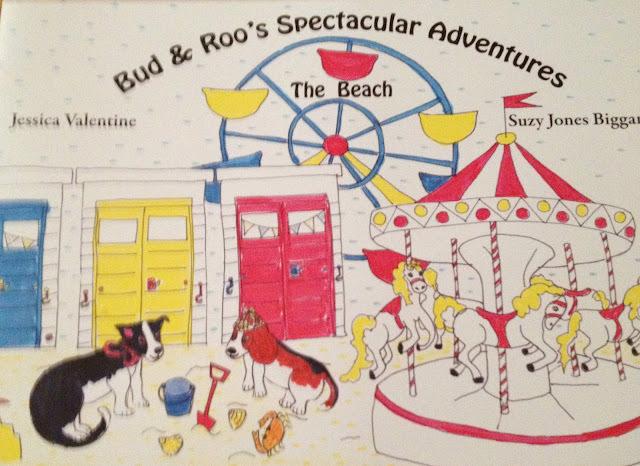 Together Jessica Valentine (writer) and Suzy Jones Biggar (illustrator) have created their first childrens book, Boo and Roo's Spectacular Adventures (The Beach). I was beyond grateful to receive not only a first edition copy, but a signed first edition copy, one to cherish. Inspired by their own lives, their children, their friendship and their pets Buddy, the beagle and Rosie Boo, the border collier, this lovely story takes you on a lovely little adventure that keeps your child included along the way. I was drawn in straight away by the illustrations. These images are hand drawn and done in my opinion almost like a child has drawn them, making them easy to relate to. Children can easily see what is happening on each page and pick out different objects etc. The colours aren't too bright, a lot of primary colours are used, these are easy for younger children to recognise and point out what they can see. The book is aimed at children between the ages of 0-5 years old. Short and simple sentences make it a great book for learner readers and there are lots opportunities for both parent and child to ask questions about what is happening throughout the story. My 5 year old sat and read it to me with no problems recognising the words in front of her. Also because of its length, I think it is perfect as a lovely bed time story for younger children. 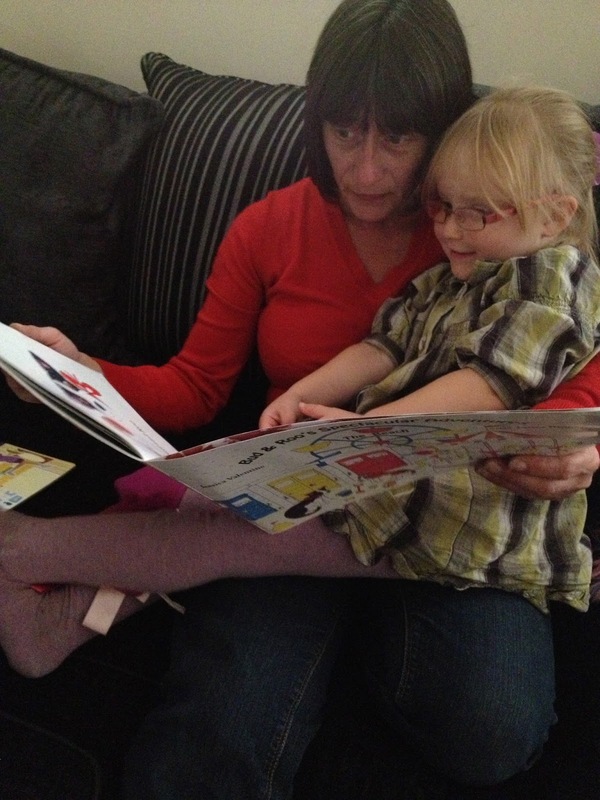 My 3 year old snuggled on Nannie's lap and happily sat listening to Nannie tell the tale to her. It is available in both paperbook and digital versions, you can purchase a copy from their blog or other online retailers such as Amazon. I personally cannot wait to see what adventures Boo and Roo get up to next and would recommend anyone with younger children going out and buying this. The only thing I would love to see is a board book version for little hands to be able to hold without ruining the book. Oh I love the pictures! They really do look child drawn don't they - at first glance I thought it was a colouring book! It really does look a bit like that! !